1. Meeting called to order by President Jim Newcomb. a. The last change to membership fees was made on 12/19/14. b. Review of club leadership positions. c.	Member proposed the club participate in local outings/food pairings for 1 meeting/year. i.	Jim: Propose wine pairing dinners outside of official meetings. Propose to make it a goal, but not mandatory. d.	Proposed a change in language from the Purpose section. e.	Proposed added language to Bylaw 4.
i. The first sentence shall read, “Cost of individual tastings will be $15/person for regular meetings and up to $20/person for premium nights. f.	Bylaw #8: Per President, RSVPs are an ongoing problem. i.	Upfront costs and late fees were discussed, but ultimately determined to be too tricky to enforce. ii. The current practice of purchasing extra bottles to cover for unconfirmed attendees is working. g.	Proposed added language to Bylaw 10.
i. The second sentence shall read, “At the annual planning meeting, if the account balance exceeds $1,500, an agreed-upon amount will be donated to 1 or more local charities to be determined by vote of the paid membership. h.	Proposed added language to Bylaw 11.
i. Proposed changes are brought to a vote and passed. 3. Financial review by Treasurer Bruce Field. a. Total 2017 gross income = $7,800. b. Total 2017 expenses = $6,687. c.	2017 net income = $317. d.	Auction Night in November 2017 raised $714 by the sale of 29 bottles. e.	72 paid members in 2017.
f.	Largest turnout was on French Wine Night. g.	Average turnout over last 5 years = 29 members. 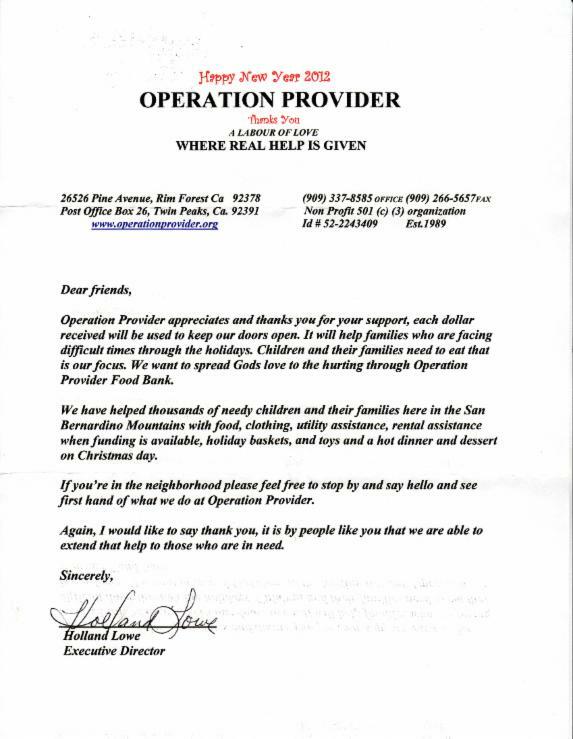 h.	We can donate $1,000 to $1,200 to local charities. i. Membership agreed to donate $1,200. vi. Membership is reminded that donations can be allocated to multiple charities. j. Motion to accept Treasurer’s notes is accepted. c.	Members discuss which charity is in the most need. ii. Motion to accept proposed allocation granted. f.	June – Jim & Jean Newcomb with live music by member Angela Riggio & band. The annual planning meeting of the Arrowhead Wine Enthusiasts was held on Friday, December 19, 2014, at the home of Mary Pierce and Angela Riggio. Attendance: We averaged either 34 members per meeting. Our highest month was July for Italian night, with 58 in attendance. We will keep a minimum operating budget of $1500. Jim read the current by-laws. MOTION to amend by-laws to require guests to join on second attendance. Was approved by the majority of membership in attendance. MOTION to amend by-law to change the amount of food to be brought from "10 to 15" to "10-20 people". Was approved by the majority of membership in attendance. MOTION to re-elect all current club officers (Jim Newcomb, President and Bruce Field, Treasurer). Mary Pierce to be new secretary. Was approved by the majority of membership in attendance. The annual weekend wine tasting outing will be held near the end of September. We are considering the Monterrey/Carmel area. Lots of discussion about lack of RSVP's and/or RSVPing to a tasting, and not showing. So far, Jim has been able to balance, so as not to run out of wine, or to go over budget, but there is some frustration with a timely response by members. No solution was reached. The annual planning meeting of the Arrowhead Wine Enthusiasts was held on Friday, December 9, 2011, at the home of Dan and Judy Purinton. The annual November auction raised $730 this year, compared to $1187 last year, mostly due to a lower attendance this year. We collected $1820 in dues. We collected $4255 in tasting fees. Attendance: We averaged either 30 or 38 members per meeting, depending on whether you include the restaurant meetings. Our highest month was February at the Lake Arrowhead Country Club, with 61 in attendance (our highest ever). Our lowest month was April at the Stones, with 17 in attendance, because of the snowstorm that day. We will keep an operating budget of $1300. 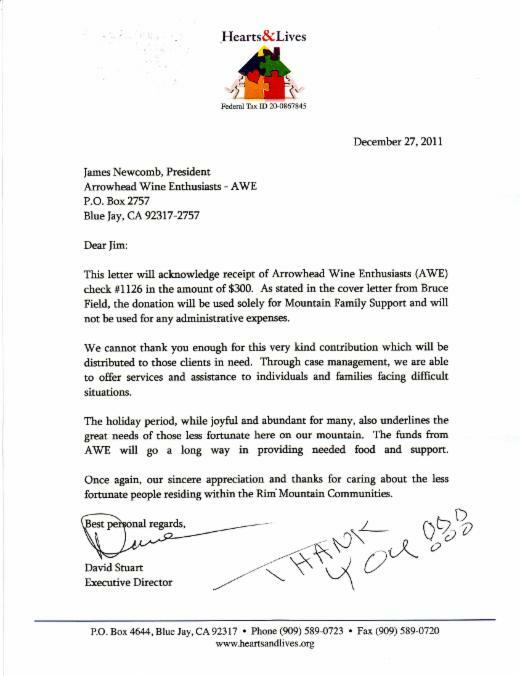 Jim read the current by-laws, and noted that several other wine clubs have used our by-laws as a model for their own. MOTION to amend by-law 6.3 to allow for the President to be exempt from having to pay tasting fees was approved by the majority of membership in attendance. MOTION to amend by-law 4 to require that guests of members also bring a dish of food to share was approved by the majority of membership in attendance. MOTION to re-elect all current club officers (Jim Newcomb, President; Anne Lorkowski, Secretary; Bruce Field, Treasurer) was approved by the majority of membership in attendance. Note that April is now a restaurant meeting, due to last year's issues with the weather.